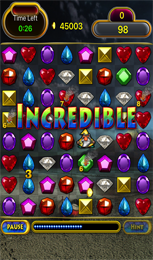 Match magic gems in this addictive match puzzle game with six interesting game modes. Select your boost powers from 8 gem powers & 12 game powers to tackle challenging levels. 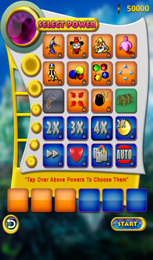 Jewel Magic Epic is based on classic match 3 game with lot of variations and exciting twists. Play with your friends and players around the world with social gaming features. 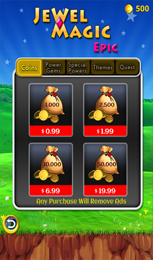 Jewel Magic Epic has six interesting game modes as below. CLASSIC - Life based addictive game. TIME ATTACK - Play and test your match 3 skills in four time periods. SCORE PANIC - Defend your peak scores. 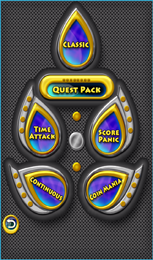 COIN MANIA - Levels with Coins as targets. QUESTS - 36 different quests with unique targets. CONTINUOUS - Play from last failed level. 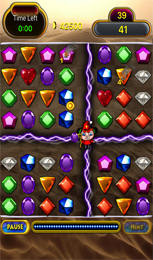 Jewel Magic Epic is based on classic match 3 game with lot of variations and exciting twists! Play with your friends and players around the world with social gaming features. 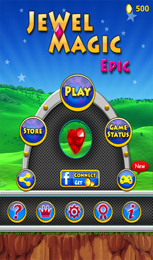 Jewel Magic is so addictive as your gem matching skills improve as you progress levels. 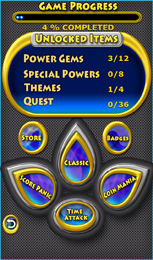 12 gem powers and 8 game powers to unlock and play 5 interesting game modes & 36 challenging quests. Select your boost powers from 8 gem powers & 12 game powers to tackle challenging levels. Progressively challenging levels with lot of variation. Coins are easy to get and with them unlock all boosters instantly. Copyright © 2014 iGoldtech.com All Rights Reserved.